In order to operate the Site in an efficient and effective manner and provide users with information on job postings and services that may be of interest to them, FacultyBox may collect personal information, including contact information (such as an email address), from its users. In addition, this information allows us to provide users with private and secure areas to post and modify their original content on our site (e.g., jobs and CVs). You agree that FacultyBox may use your personal information to contact you and deliver information to you that, in some cases, is targeted to your interests (such as relevant job postings and services). We do not sell our users' personal information to anyone for any reason if the user has indicated a desire for us to keep the information private. All users should be aware, however, that when they voluntarily display or distribute personal information (such as their email address or CV), that information can be collected and used by others. This may result in unsolicited messages from third parties for which FacultyBox is not responsible. FacultyBox may also disclose specific user information when we determine that such disclosure is necessary to comply with the law, to cooperate with or seek assistance from law enforcement or to protect the interests or safety of FacultyBox or other users of the Site. In addition, personal information we have collected may be passed on to a third party in the event of a transfer of ownership or assets or a bankruptcy of FacultyBox . Do not provide any non-work related personal information (eye color, marital status etc.) over the phone or online. Posting your CV on FacultyBox puts you in front of hundreds of employers with open positions each day. When you post your CV, we automatically create a registration for you using the email address and password that you supply. When you return to the site in the future you will use that same email address and password to access and edit your existing CV. Unfortunately, email and online fraud are continuing concerns for virtually all businesses that operate on the Internet. 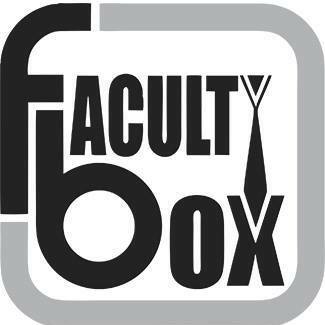 Please be aware that, from time to time, fraudulent emails have been circulated to FacultyBox users that appear to be from FacultyBox but which are, in fact, sent by imposters. FacultyBox is not sending these fraudulent emails. If you receive an email or pop-up window requesting that you sign in to FacultyBox and provide your personal information, do not respond.